Fighting herpes is far easier when you’re proactive about your whole health. 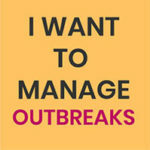 And if you know what to do when an outbreak strikes, you can beat it faster. Luckily, it doesn’t have to be hard. Looking for the best herpes supplements that work? It’s easy. 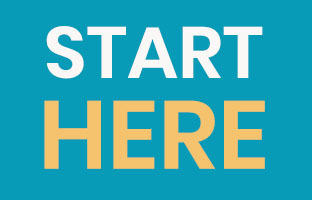 This quick but complete guide will show you everything you need. Scroll down to get proactive. 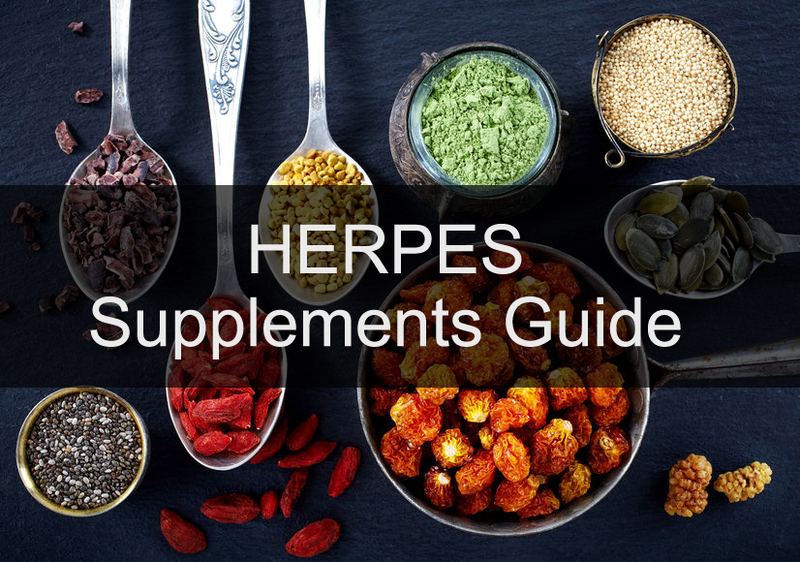 This is a complete list of natural herpes supplements. Some are almost always recommended by doctors for treatment of herpes viruses. Others? They have promising studies behind them, but need more research. Note: This is about herpes supplements for cold sores or genital herpes related to HSV-1, HSV-2, and other herpes viruses. As always, check with your doctor to see what’s right for you. Coconut oil has been in the spotlight for a few years now. But not just a trend, this superfood really does have proven health benefits. 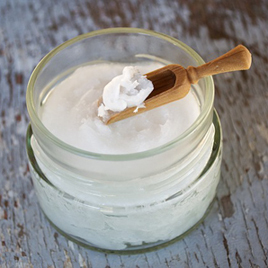 Virgin coconut oil has famous virus-fighting, free-radical-stopping, and bacteria-busting superpowers. This is mostly thanks to its high lauric acid content. Lauric acid is also found in mother’s milk, and boosts immunity. To treat HSV with coconut oil, people apply it topically as well as eat it, or take it as a supplement. As long as it’s labeled as unrefined or virgin coconut oil, it has many uses for healing. It may help reduce or heal outbreaks. Since virgin coconut oil is food, it is generally safe to use. Don’t worry, it doesn’t have a high argine-to-lysine ratio like coconut meat. It’s a fat, so it has no amino acids at all. Coconut oil should be taken in a small amount each day, working up to a maximum dosage for your weight. This is usually between one and three tablespoons. It doesn’t take much: even a little bit can benefit you. Lemon balm is a healing herb in the mint family. Botanists also call it Melissa officinalis, or just Melissa. It’s available as a tea, supplement, and oil. It’s a popular remedy that has antiviral properties, and may show promise both as a herpes supplement and topical treatment. Some people use a cotton swab with lemon balm oil or lemon balm extract dabbed onto the affected area. Some people report boiling the lemon balm tea leaves and making a compress of it to apply to outbreaks. Lemon balm creams are also available. As a herpes supplement, people also take capsules or drink lemon balm tea. Some say this helps to cut back on outbreak frequency. Lemon balm is available as a tincture, oil, cream, a tea, or pill. Lysine is an amino acid you get from foods. Still, you can get it in supplement form. Medical research shows that getting more lysine than arginine in your diet reduces outbreaks. Researchers believe this balance will even prevent outbreaks in times of stress, which is a major outbreak trigger. It may even diminish the severity of those flare-ups that do happen. The University of Maryland Medical Center reports that based on multiple studies, lysine can reduce the number of oral herpes (cold-sores) outbreaks. The key is to make sure you keep this balance all the time, and not just when you get an outbreak. Otherwise, it won’t work. Supplements are an easy way to increase your lysine intake, but you don’t need a ton. All you have to do is keep your lysine levels higher than arginine. A dose of 500 to 1000 mg a day may be enough to put you in the right zone. Lysine supplements that have minerals, such as bioflavonoids and zinc, as well as vitamins can work miracles to prevent and control herpes outbreaks. If you know that coconut oil is good for you, then you’ll easily understand the benefits of monolaurin. Monolaurin is a concentrate of lauric acid, which is the compound that makes coconut oil so healthy. Lauric acid is even found in breast milk, and support babies’ immune systems. Otherwise, it is not common in nature. Monolaurin has remarkable antiviral properties. In vitro, it can destroy the lipid coating of viruses. For this reason, Monolaurin and coconut oil are both popular herpes supplements. The lauric acid in monolaurin and coconut oil is also reported to boost immunity in general. In fact, it may be a good supplement for pregnant or breastfeeding mothers. As always, consult your doctor first. 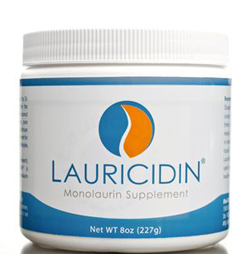 Lauricidin is the only monoloaurin that has been clinically tested. Neem’s virus-fighting powers have earned it the nickname, “Nature’s Drugstore.” This herb has been used for centuries in Ayurvedic medicine. Fans of this plant take advantage of its health properties through use of the tree’s various products: neem oil, neem tea, or neem cream. Typically, neem oil is used topically to relieve oral herpes (HSV-1) symptoms. With clean hands, a sufferer can apply it to the infected area with a q-tip or cotton swab at least once a day. People are also using this method to treat genital herpes. Neem leaf can be used in neem tea to boost the immune system, which may also help with herpes outbreaks. The tea has a bitter taste but the primary reason people use it is for its medicinal qualities. Neem can also be taken in a capsule form, or applied topically as a paste or an oil. Anecdotes suggest that neem has worked for some people to reduce the severity of herpes outbreaks, but not get rid of them completely. It is also reported to relieve burning sensations when applied topically. 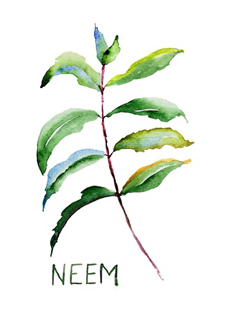 Precautions: Neem is not suitable for women who are pregnant, nursing, or trying to conceive. Some people may have allergic reactions to neem, although rare, and it may cause itching in some people. You may have heard of the Mediterranean diet. It’s known to improve health outcomes associated with aging. A large part of that diet is olives and olive oil. 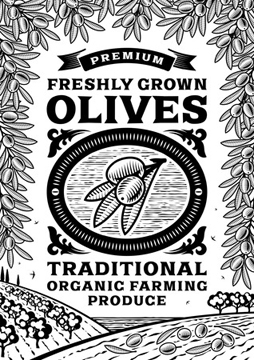 Olive leaf extract offers those Mediterranean health benefits as well. It’s a popular and traditional remedy for many ailments: it boosts immunity, fights viruses, and may even have anticancer properties. The main antioxidant in olive leaf extract is oleuropein. This compound may protect the brain, as well as protect against cancers.2 It has also been studied for its ability to inhibit viruses. Olive leaf is often cited not just as an oral or genital herpes supplement, but for all herpes viruses. Taking an olive leaf supplement can relieve outbreak sores, increase healing time, and restore energy levels from post-viral fatigue. Typical dosage is 500mg tablets of olive leaf extract, one tablet every six hours, up to four per day. You can take these between meals for better absorption, though some sources say to take them with a meal. After a brief period this treatment may reduce sores. 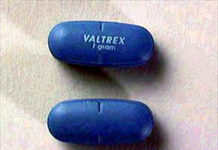 One it’s working you can reduce your dosage until you are off the tablets to see if the herpes symptoms reappear. If it does, you can continue to use the olive leaf extract as long as you moderate the dosage. Ask your doctor what’s right for you. Have you ever heard that red wine is good for you? Resveratrol is the good stuff you’re hearing about. It’s found in the skin of red grape seeds, berries, and even cocoa. It affects immune function, blood sugar levels, and improves cardiovascular health. You commonly hear that it can extend lifespan and improve aging. But while it has improved lifespan in test subjects like insects, its effects for human lifespan appear to be unfounded, so far. Some fascinating animal and test tube benefits of resveratrol have been documented. But other benefits, like anticancer, diabetes, or skin benefits, are also not proven in humans and need further study. What about using resveratrol for herpes? It is not documented in medical literature that taking a resveratrol supplement will have an antiviral effect on HSV. Nonetheless, it remains a popular supplement. Precautions: A page on Oregon State’s website says pregnant women and women with a history of estrogenic cancers like breast cancer should avoid resveratrol supplements. Red marine algae is an abundant sea algae, with more than 4,000 species of it in the sea. It has been used for years in traditional Chinese medicine. Specific types of red marine algae show strong immunity-boosting and antiviral properties. It is especially known for being effective for virus sufferers. The first study showing the antiviral potential of marine algae was done in 1958.6 Polysaccharides derived from marine algae were shown to reduce the reproduction of enveloped viruses. The results were promising, and the potential continues to be researched today. In addition to antiviral properties, carrageenans from red marine algae are also studied for antioxidant, anticoagulant, antitumor, and immunomodulatory effects. 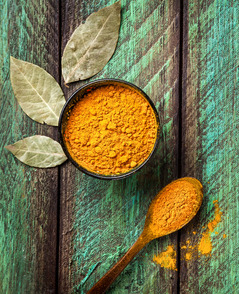 Turmeric is a common ingredient in curries with a long history of use in ayurvedic medicine. The active compound is curcumin. It’s an anti-inflammatory substance. For HSV, turmeric extract / curcumin makes your body cells less susceptible to viral infections. People use turmeric supplements, powdered turmeric, and turmeric extract. When selecting a supplement, note that nanoparticulate curcumin is more bio-available. To increase its availability, cook or dissolve it in oil. Vitamin A is good for your immune health. Taken alongside Vitamin C and zinc, it can be effective for reducing outbreaks. A University of Washington Study in 2000 suggested that a vitamin A deficiency can put women at an increased risk of contracting genital herpes. 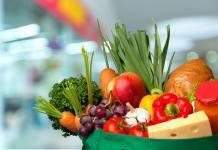 The results suggest that vitamin A improves immune health. Excellent sources of vitamin A include foods such as beef liver, spinach, sweet potatoes, carrots and pumpkin. Cooked carrots are perhaps the best way to get this vitamin. Adult needs of vitamin A is 900 mcg for men and 700 mcg for women. If one prefers to use vitamin A supplements rather than through the diet, the recommended daily intake for men is 6000 IU, and for women it’s 4000 IU. If you have herpes, what does stress do? It leads to outbreaks! Luckily, B vitamins are known for helping with stress and anxiety. In fact, B12 and all B group vitamins are essential for wellness. You can get your B group vitamins by taking a “Balanced B Complex” like this one. Foods high in Vitamin B12 are shellfish, skim milk, swiss cheese, and fortified cereals and soy products. You already know that Vitamin C is famous for colds. But did you know it could help fight herpes, too? 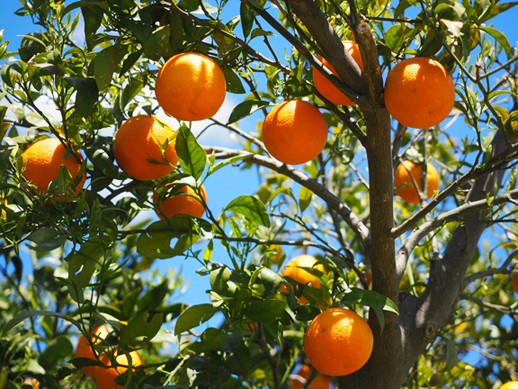 According to Alan Gaby, a holistic medicine specialist, high Vitamin C can switch off the virus. In the study, Dr Gaby recommends the intake of 10 ,000 mg of supplements daily to manage an active herpes outbreak and 500-3,000 mg daily to prevent future herpes outbreaks. Note: Taking vitamin A, vitamin C and zinc in combination can especially enhance the immune response against herpes viruses. Citrus fruits and juices are probably the first thing you think of. That’s true, but keep in mind the higher arginine content of orange juice. 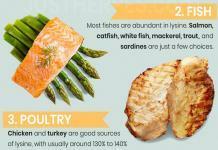 It’s important to get more lysine in your overall diet, so balance it out. Other sources are bell peppers, tomatoes, strawberries, leafy greens, broccoli, white and sweet potatoes, papaya, cantaloupe, watermelon, mango, winter squash, cauliflower, cabbage, blueberries, raspberries, cranberries, and pineapples. When you soak up some rays, your body makes Vitamin D. That’s good, because it’s an essential immunity booster. But with a herpes diagnosis, sunlight can sometimes be an outbreak trigger. It’s not just people with HSV. Not getting enough vitamin D is a common problem. In fact, more than half of the population is deficient in Vitamin D.
A Japanese study showed that Vitamin D is more effective at preventing the flu than a vaccine. Vitamin D stimulates your immune system and rallies T cells to fight off infections. 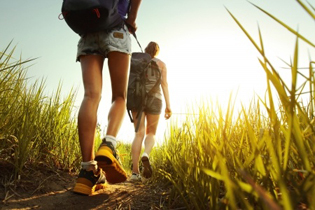 To make sure you’re getting enough Vitamin D, get 10-15 minutes of sun exposure to day. If you’re sensitive to sunlight, or it’s still not enough, take a good Vitamin D supplement. You can also eat foods rich in Vitamin D, like mushrooms. Zinc is an essential trace mineral. It strengthens the immune system and has medicinal uses for wound healing. It can heal sores, and is often recommended as a herpes supplement. Low zinc levels can make a person more vulnerable to infection. However, zinc deficiencies are uncommon. People who may be deficient include elderly patients, people with highly restricted food intake, or those with Crohn’s disease or other absorption issues. Zinc is shown to fight both HSV-1 and HSV-2 in in-vitro studies12. Small studies of human subjects have also shown promise for the topical use of zinc ointments and creams. In a different study, subjects who used a formula of zinc oxide, l-lysine, and several other ingredients experienced fewer symptoms and shorter outbreaks. A journal called “Alternative Medicine Review” published a 2005 finding that lysine and zinc together relieved oral herpes within six days. Zinc is highly available in seafood like oysters, crab, and lobster. Beef and lamb are next. Seeds like sunflower, chia, and flax are also good sources. You can get zinc in a multivitamin or take a zinc supplement. Since using it with lysine can make it more effective, some herpes supplements like i-lysine include zinc. Precautions: Zinc should be taken in safe doses. Adults need 8 to 11 mg of zinc per day. Zinc may react with some antibiotics, and with cisplatin, a chemotherapy drug. Zinc can cause stomach upset and is not for an empty stomach, unless you buy a specialty formula. Make sure you get enough copper when taking zinc. Click here to shop for supplements for herpes simplex viruses / HSV. 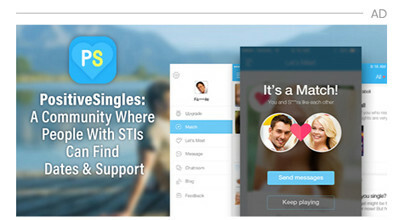 Previous articleHow Do You Know if You Have Herpes?